justin Bieber posted a heartfelt video on social media entitled “Here we go” on Wednesday, apologizing for acting arrogant or conceited. The singer surprised the the talk show host for her birthday Wednesday, but he admitted that he was reluctant to do so because of the public’s perception of him over the past year and a half. Bieber also talks about being young and growing up in the entertainment business, saying he wants people to know that he is a “genuine person.” He also acknowledges his troubles in his past. As he moves forward, the singer says, he wants to “make the best impression on people” and does not mind being called a softy, because that how his mom raised him. People on social media have responded to the singer with open arms, with the hashtags #WeDontJudgeYouJustin and #DearJustin trending. This week, the singer released a video for his new song, “Confident” featuring Chance the Rapper, on YouTube. The video has more than 122 million views. After more than 30 years, Eddie Murphy is returning to Saturday Night Live. The comedy legend will appear on the 40th anniversary special of the NBC sketch comedy show. The special airs February 15. Murphy, who started his stand-up comedy career at 15, was 19 when he joined the show in 1981. In an interview with News One Now, Murphy talked about why it took so long for him to return. “It just never worked out where the timing was right for me to do it,” he said. A young mother in Washington state has been charged with attempted murder after authorities say she cut her children’s throats in an attempt to keep them quiet. Over the weekend, Christina Booth called 911 to report that her three children were crying nonstop and “needed medical attention,” according to a recent probable cause filing. The 28-year-old and her husband, Thomas Booth, have three children, a 2-year-old and 6-month-old twins. All three were taken to a local hospital, where, CNN affiliate KOMO reports, they underwent surgery. They are now in stable condition and will be placed in protective custody. In their probable cause filing, authorities paint a picture of a mother overwhelmed and suffering from postpartum depression. A judge set bail for Booth at $3 million, KCPQ, another CNN affiliate, reported. The night that ended in tears and blood began with wine and a movie. In the probable cause filing, Thomas Booth told investigators he had two “large glasses” and his wife had at least the same amount. Christina Booth, like her husband, spoke to authorities without an attorney present. Her story differs from her husband’s slightly, a local prosecutor said. The couple’s account differs in where the attack on the twins took place. Christina Booth told authorities she carried them downstairs after attacking her toddler and cut their necks while they lay on the couch. Her husband told police he found the babies upstairs with injuries to their necks and brought them downstairs to render first aid. Thomas Booth has not been charged, and KOMO reports that police do not suspect he played any kind of role in the violence. KOMO reports he’s an active-duty soldier who was recently deployed overseas. KOMO reported that neighbors say Christina Booth was normally social, but changed after giving birth to the twins. Neighbor Tammy Ramsey expressed concern to KOMO about the potential for missed opportunities to help the family. It is the highest-grossing animated film of all time and one of Disney’s top franchises. Heck, it’s now probably stuck in your own head right now, even if you have never seen the film. So why has the 2013 movie stuck around for so long for the under-5 set? Experts say it is not just because you can find images of movie’s sisters on everything. Elsa and Anna are on dresses, on scooters and, just in time for the Easter season, even on jelly beans. To understand the psychology behind “Frozen” Mania, CNN reached out to psychologists who are sisters themselves: Yalda Uhls is regional director for Common Sense Media. Maryam Kia-Keating is an associate professor of clinical psychology at University of California, Santa Barbara. Here is our edited conversation. CNN: Princess movies have been around since the beginning of time, but this has really resonated. What has made this one so unique? Yalda Uhls: One of the things that really struck me, and I think struck little children, is that there is a really strong intergenerational, family-themed message here. Despite the sisters Anna and Elsa being separated for so long, the story is ultimately about the bond between the two of them. When you’re little, that is your zone; that’s your group; they define your world. Highlighting that and making it feel important — your sister, your brother, your mom and dad — is something little kids can really identify with. Maryam Kia-Keating: Kids can really understand the idea of their sister wanting to play with them, and sometimes not, but still having a strong family bond. Ultimately, it’s about the love between the sisters. That’s a message that many little children understand. There are also good lessons about overcoming struggles and facing life challenges. But, what’s interesting about preschoolers, in particular, is there’s this loyalty and unrelenting interest to watch this movie over and over again. Part of it is because it was so well done, but there are some themes that younger kids can really identify with. My 4-year-old daughter told me that she also liked that it didn’t have a witch. I wouldn’t have thought that until she said it, but it made me more thoughtful about all the other movies — great movies — that have scary witches and themes in them. This was something that little kids under 5 aren’t going to have nightmares about. CNN: Why is not having a witch important to a preschooler? Kia-Keating: When you’re an adult, you’ve heard a lot of these stories, like “Snow White” or “Cinderella,” and you forget the power they can have. It’s helpful to have a child’s point of view on this. Kids are living in this world where the line between what’s real and what’s not really is blurry, and because they have such vivid imaginations, witches and monsters can feel very real. As adults, we may see these villains or monsters as a way to tell a story or a lesson, but when children are in the moment of being scared, they are caught up in the fear and not in finding the larger lesson. Uhls: I used to work in the film industry, and as adults, we’re told that we need conflict to drive drama. Take Grimm’s Fairy Tales; there are always dire stakes. Or movies like “Bambi” and “The Lion King,” where the mother or father die. These are serious issues and themes, and sometimes little kids aren’t ready to process and understand these ideas. CNN: What about the characters seem so easy for kids to empathize with? Uhls: Preschooler imaginations are really strong, and so they respond really well to stories with magical realism. In “Frozen,” Princess Elsa has these powers to control ice and snow — and that really captures kids’ imaginations. When you’re small, you don’t feel powerful. Everyone is always dictating what you can and cannot do. Having a character they can empathize with that has these powers can make them feel more empowered, as well. Kia-Keating: That magical piece is exciting and is one of the things that really sets this movie apart from others. Another aspect that kids see themselves in Elsa and Anna is the impulsiveness. Parents are constantly trying to teach their little ones how to self-regulate their emotions, how to behave, how to sit down. Elsa is constantly trying to tame or control her emotions — and while this is something that is salient to everyone throughout their lifetimes, this is something preschoolers deal with all the time. CNN: The song “Let It Go”: It’s everywhere, and kids can’t stop singing it. What is it about this anthem? Kia-Keating: My 4-year-old came home and learned the song before we had even seen the movie. And when they sing it, they wag their fingers like they do in the movie. I think it looks a lot like something they see and hear from parents — be a good girl or boy, don’t do this or that — so part of it is copying what they frequently hear. That’s a message that everyone wants: to be happy and free. 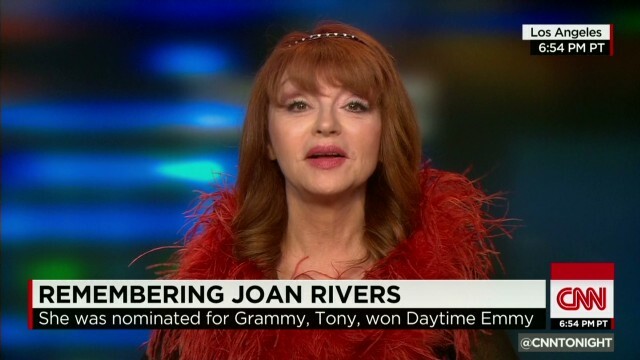 he estate of the late comedian Joan Riversfiled a lawsuit Monday in New York County Supreme Court detailing alleged missteps by the outpatient endoscopy facility and the physicians caring for Rivers during an August 28 procedure that the New York medical examiner said ultimately led to her death. Rivers died at Mount Sinai Hospital on September 4, 2014. The lawsuit says they performed procedures to which Rivers did not consent. It also alleges that one of the doctors did not have credentials or privileges to treat patients at the facility. 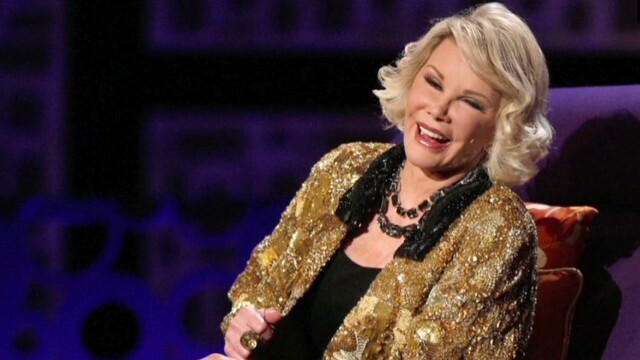 The comedian went to the medical center for a procedure to evaluate her “voice changes” and to determine what was causing her stomach reflux, according to the New York medical examiner. The lawsuit says Rivers signed an authorization and gave her consent to let the doctors perform an upper endoscopy, or EGD, with possible biopsy/possible polypectomy and possible dilation of the esophagus. It was unclear if Rivers had given verbal consent to any other procedure before being sedated. The lawsuit maintains she did not. During an upper endoscopy a camera is inserted to examine the upper part of the digestive system. A doctor controls the tiny camera on the end of a flexible tube. It is used to diagnose stomach, esophagus and small-intestine problems. A biopsy would be done if a doctor found an area that looked like there was some kind of cancer. Voice changes can be a sign of throat cancer. A polypectomy is done to remove nasal polyps, which are benign growths originating in the mucous membrane that can block the nasal passages. During esophageal dilation doctors dilate or stretch the narrowed area of the esophagus, which they may do as part of a sedated endoscopy procedure. It’s most commonly done because the esophagus has narrowed from acid reflux. Often patients with this problem have trouble swallowing and sometimes have pain. Less commonly, narrowing happens because of cancer of the esophagus. Rivers first underwent a laryngoscopy. This is a procedure she did not consent to in writing. It is used by doctors to get a look at the vocal folds and glottis. It was during this first procedure that her doctors had “difficulty maintaining” her oxygen saturation at an “appropriate and safe level to ensure that her airway was not compromised” the lawsuit says. Then Dr. Lawrence Cohen and Dr. Renuka Bankulla performed the upper endoscopy, the procedure for which they did have written consent. When Bankulla noticed the oxygen saturation level again dropped, the lawsuit says she requested that the EGD be stopped and the endoscope removed to increase Rivers’ oxygen level. Once her level was raised, Cohen reinserted the laryngoscope and continued the EGD. 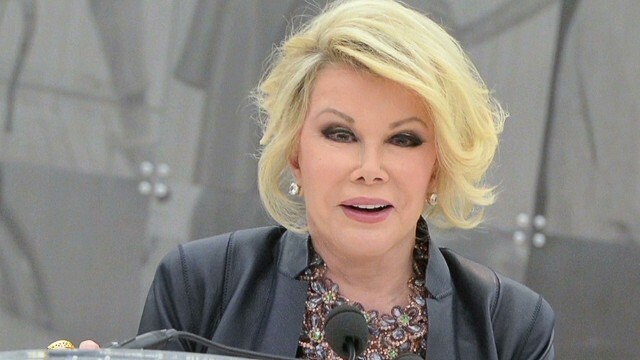 The lawsuit argues that during this part of the procedure Cohen and Bankulla failed to ensure Rivers’ airway was appropriately maintained and that they “failed to properly observe and monitor Joan Rivers’ vital signs which were deteriorating” and that her blood pressure “dropped significantly” as did her pulse and oxygen saturation level according to the lawsuit. After Cohen completed the EGD he took a selife with Rivers while she was under sedation during the procedure, without her consent, according to the lawsuit. Dr. Gwen Korovin then said she wanted to “go down again” and take another look, doing another laryngoscopy, the procedure for which the facility did not have written consent, according to the lawsuit. Korovin performed the laryngoscopy despite a concern voiced by Bankulla that the procedure could compromise Rivers’ airway, the suit says, adding that Cohen told Bankulla she was just “being paranoid,” and the doctors proceeded with the second laryngoscopy. Rivers had a laryngospasm, a spasm of the vocal cords that makes it difficult to breathe, according to the investigation. Her body was unable to take in enough oxygen and eventually her heart stopped delivering fresh oxygenated blood to her brain, which shut down. When the doctors did notice that Rivers’ vital signs had dropped, as had her oxygen saturation level, they tried to get her breathing better. When 10 minutes of ambu bagging didn’t work, the lawsuit says Bankulla asked another doctor to get the tracheotomy kit ready. In that case, the lawsuit says the doctors should have performed an emergency tracheotomy. Bankulla looked for Korovin to perform a cricothyrotomy, but the lawsuit says Korovin had left the room. Korovin is a well known doctor who has successfully treated an impressive list of celebrity clients who have come to her with voice trouble. The list of famous patients who have sung her praises include actors Hugh Jackman and Nathan Lane and singers Celine Dion, Lady Gaga and Ariana Grande. Korovin is a licensed medical doctor, but she “did not have privileges to perform surgical procedures” at Yorkville Endoscopy nor was she credentialed to perform procedures at the facility, according to the lawsuit. The lawsuit also says the doctors were inadequately trained to handle an emergency like the one they encountered. CNN left voice messages and emails for all the individuals and facilities named in the suit. So far, none has responded to CNN’s inquiries. In relation to this case in the past, the Yorkville Endoscopy clinic has said, “Our anesthesiologists monitor the patient continuously utilizing state-of-the-art monitoring equipment, and remain at the bedside throughout the procedure and into recovery.” It added that all its doctors are certified for advance cardiac life support. “As a matter of personal and professional policy, Dr. Korovin does not publicly discuss her patients or their care and treatment. Further, Dr. Korovin is prohibited by state and federal confidentiality laws from discussing her care and treatment of any particular patient. “For these reasons, neither Dr. Korovin nor her attorneys will have any public comment on recent press reports regarding her practice. We ask that the press please respect Dr. Korovin’s personal and professional policy of not discussing her patients, as well as the privacy of her patients,” the statement said. In reaction to the lawsuit, Rivers’ daughter, Melissa Rivers, released a statement. “Filing this lawsuit was one of the most difficult decisions I’ve ever had to make,” said Rivers. “What ultimately guided me was my unwavering belief that no family should ever have to go through what my mother, Cooper and I have been through.